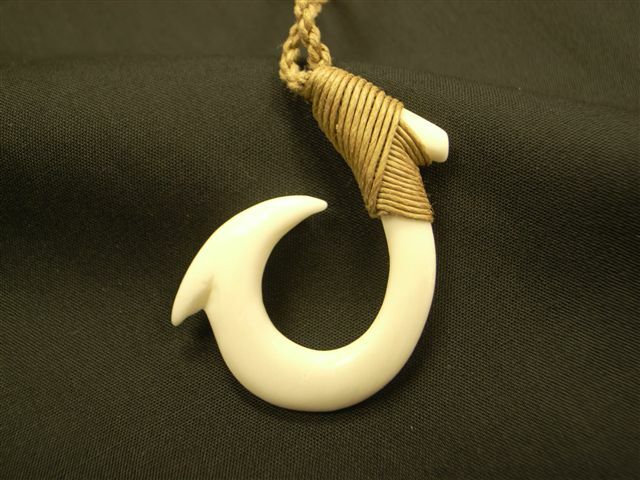 Size about 1.5" X 1"
Length of a string about 26 "~28"
The Maori hook was exactly what I was shopping for. It looked good on the website, it looks even better around my neck. I have worn many hooks that wete not very durable. The quality of the cord and knotting looks like it should last for a long time. I love this wooden brown necklace and its matching bracelet. However, I had the hardest time finding earrings to match, trying two different pairs online. Could you please offer matching earrings for this set?? A simple pair of matching wooden brown balls -- in posts (studs) -- would be perfect. Intricate beautiful necklace! So unique! I will be proud to wear this handmade necklace. Beautiful and unique yellow shell lei! Can’t wait to wear it this summer!